Boston Market is a private fast casual restaurant known for its home style meals, and specializing in its signature rotisserie chicken. 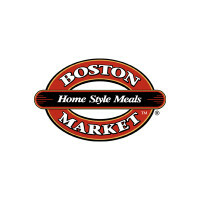 With its founders Steven Kolow and Arthur Cores, the Boston Market was an influential food franchise especially in the Northeastern side of the United States. It was known as Boston Chicken from 1984 up until 1995. Not settling in just being a chicken restaurant, Boston Market offered much more to the table with its variety of sides and meals. Despite the bankruptcy and turnover to McDonald’s in the early 2000s and now to its current owner the Sun Capital Partners, Boston Market is still growing strong, with currently more than 450 company-owned restaurants. One of the main reasons why people continue to patronize this franchise is because of its homey ambience and its promise to keep things fresh. From cooking things fresh and using fresh farm or seafood products, they continue to deliver such promise to their customers to this very day. Other than being a notable restaurant chain, the franchise also spread their influences and presence not just in the restaurant scene. They branched out to supermarkets, selling their branded chilled menu items in over 700 markets. They also opened up a catering service to those who’d like to avail their fresh foods for any occasion. Catering has never been more convenient, as is the tagline of Boston Market. They aim to give customers a hassle-free transaction, while delivering food hot, fresh, and good to any gathering of sorts. From all-natural hand carved rotisserie chicken, roasted turkey, various side dishes and fresh salads, all are easy to serve and in home style. Boston Market boasts in aiding those in a rush, having orders ready in as few as three hours for delivery or two hours for pick up on same day. However, their sandwiches would require a little more preparation, so orders should be placed around 5 pm the evening before the event. Boston Market catering offers a Hot Buffet menu perfect for group of five or more. Each buffet comes with a choice of entrée, two home style sides, and cornbread. It also includes disposable plates and flatware. Butter and honey are available upon request. The side dishes are split into Hot and Cold sides. Hot buffet extras are split into additional portions and available sauces. Reusable heating kits and Sterno® can replacements are available to keep hot buffet items hot and can be requested. Boston Market also provides food catering packages: Silver, Gold and Platinum. Each package is inclusive of trained staff, buffet area set-up, buffet line, dishes, cleanup, and delivery. All packages are for parties of 30 or more Taxes and other additional charges are not included. There is a catering agreement required for all full service events in excess of $500. The Silver package goes for about $18 per head. This package comes with the choice of: 1 entrée, 3 Home Style sides, 1 salad and Cornbread with honey and butter. The Gold package goes for about $20 per head. This package comes with upgraded utensils and plates, with the choice of 1 entrée, 3 Home Style sides, 1 salad and Cornbread with honey and butter. The Platinum package goes for about $25 per head. This package comes with China plates, metal silverware, and the choices of: 1 entrée, 3 Home Style sides, 1 salad and Cornbread with honey and butter. In comparison to most catering services, Boston Market provides both quantity and quality, with proper preparation and other services included. Boston Market is an affordable quality choice compared to the standard $30-40 buffet per head on local food catering services.